I have captured hundreds of weddings over the years and am passionate about making beautiful images of people in LOVE. I am a wedding photographer based in Lake Tahoe . I established the boutique-style studio in 2000. I use Film and Digital formats to best document every details, real emotion, relationships, smiling faces and action during your wedding day. I will not direct the flow of your day, make you slow down so I can get the shot or ask you to say cheese! My images are real life with a little punch. No gimmicks. I love the texture, dimension and feel it gives my images. The format has survived the test of time, remember 8 track, VHS? My images have been featured in a multiple of magazines and blogs such as Style Me Pretty, the Knot, Wedding Bells.... I am a member of WPPI, PPA, WPJA and have current insurance. When I am not working, I spend time with my son. I wish to share my passion for mother nature, sports, the mountains, respect and kindness... I am a single mother, although rewarding, scary at the same time. I love to laugh out loud! it does not take much. Nature feeds my soul, creativity feeds my mind. Yes I have a slight accent? I am not French but french Canadian. I am a city girl living in the mountains. 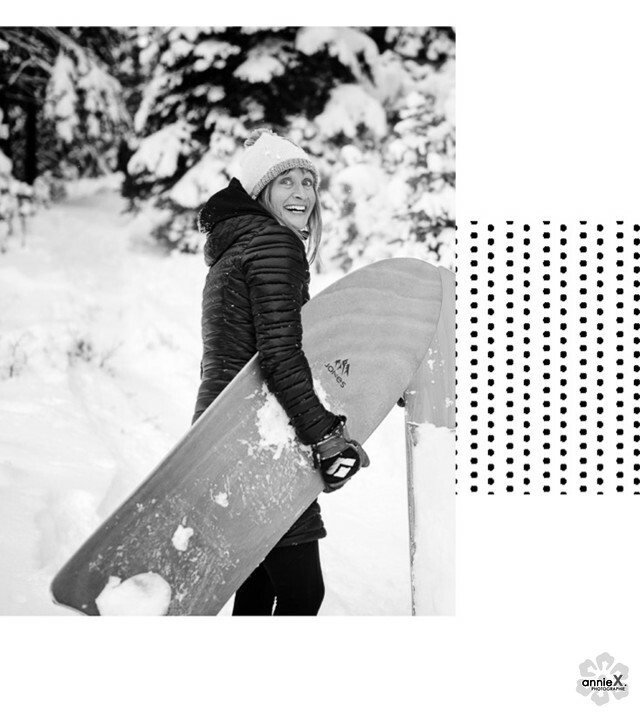 I love, love Snowboarding, skiing, mountain biking, paddling, yoga, you get the idea I love to be active. Other things that make me smile, adventures, travels, big cameras, small cameras, my friends, the smell of rain, fresh Powder, Montreal, music, FOOD.... smiling BIG. I'm lucky to have such wonderful clients & can't wait to get to know you better! I have to tell you a secret I am also camera shy so I get it! don't worry you will have fun! I am ready for any adventure, let's talk about your vision.